Homeowners choose to sell a home for many different reasons. Maybe you have decided you need a larger home or maybe you are downsizing and need something smaller. Perhaps you’re moving to a new area. The reasons for selling a home are endless. 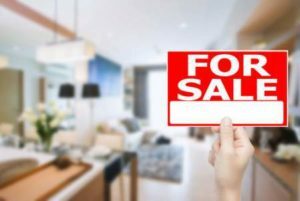 No matter what is behind your motivation for selling, you’ll want to follow a few steps to ensure you have a successful transaction. Your real estate agent is going to be your go-to person from the time you list your home for sale until the closing. Therefore, you must choose an agent who is experienced in the real estate industry and knows your market. You should have a certain comfort level with the agent and feel free to ask questions and call them when you need them. Your real estate agent is going to be on the front line negotiating with buyers on your behalf trying to get you the best deal. So, it is important to ask questions and get to know your agent before embarking on the home selling journey. One of the most important factors in selling a home is staging it so that it appeals to a wide variety of buyers. When you open your home to potential buyers, you want to clear clutter from all the rooms. You might even need to rearrange furniture or remove unnecessary furniture that’s taking up space. The goal is to make each room appear as large as possible because space is what everyone wants. Your home should be decorated with neutral colors. Even if you are a great home interior designer who likes bright, flashy colors, your buyers might be turned off. So, it’s best to keep you home decorating low-key. Conducting market research is essential so you can set the right asking price for your home. 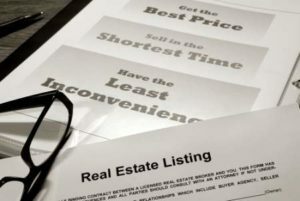 You’ll need to look at trends in your market such as the current selling price of comparable homes. Your agent will also help you by providing a comparative market analysis which will show the selling price of recently sold homes in your area. You can also research county tax assessment records to see what the tax assessed value of your home is. After researching, you should have a good idea as to what your home is worth. It is possible that you will receive several offers on your home. Your real estate agent will help you decide which offer is best. You may go back and forth a few times before you accept an offer. The thing to remember is that you don’t need to accept the first offer you get, unless it is too good to pass up. Once you’ve analyzed all the offers you’ve received and you’re pretty sure negotiation of the asking price is over, it’s time to inform the lucky buyers that you’ve accepted their offer and are ready to move to the next step. Once you accept an offer, your attorney will draft a purchase agreement that will be sent to the buyer’s attorney. If everyone is agreement on the purchase agreement terms, the buyer will schedule a home inspection. If any problems are found with the inspection, you will need to make repairs to proceed. Once the home passes inspection, the buyer’s lender will schedule an appraisal. If any problems are found and the home doesn’t appraise, you’ll likely go back to negotiating. However, if the home does appraise, you’ll proceed to closing. You, as the seller, may not be required to attend the closing. If you can sign original documents prior to closing, then you won’t have to attend. This is beneficial for you because it gives you extra time to move and get settled into your new home. They buyers will attend the closing. It is at this time that all documents will be finalized, and the money will change hands. Once that happens, the closing is complete, and you are no longer the owner of the home. The process of selling a home takes time. It can be frustrating at times because you just want to sell the home and move on with your life. But, in the end, it is a rewarding experience. And, once it’s over, you can sit back and breathe a sigh of relief and be glad it’s done.